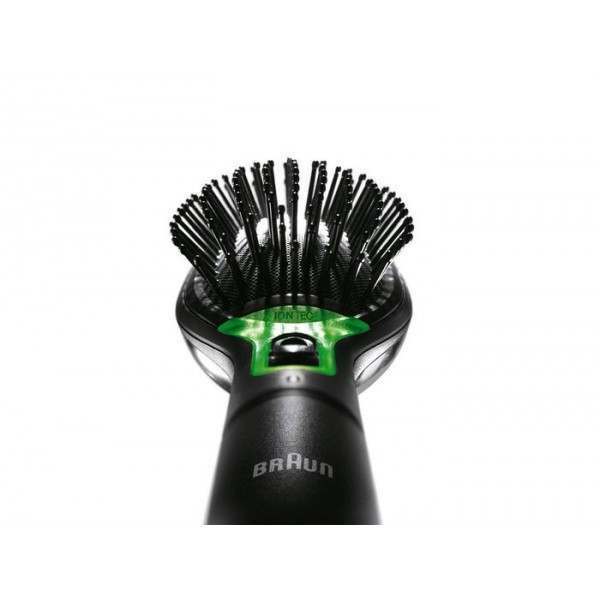 Revolutionise the way you brush your hair with the Braun BR710 Satin hair 7 IONTEC hair brush. 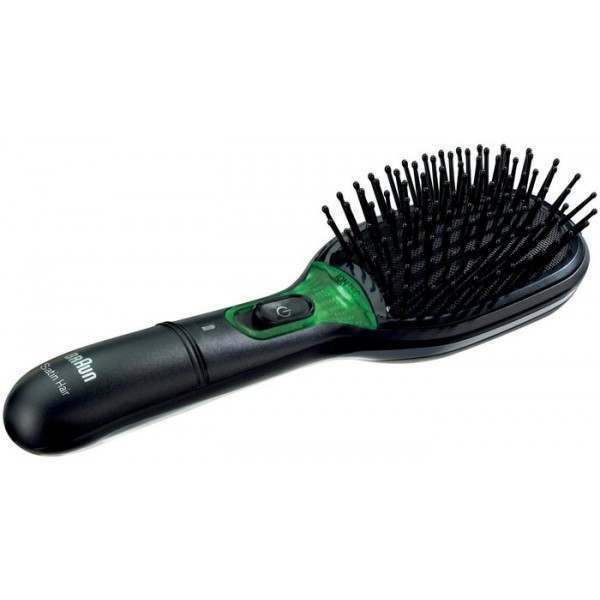 Seamless bristles provide gentle brushing with no burns or sharp edges, with an easy-to-remove cushion pad for easy cleaning. 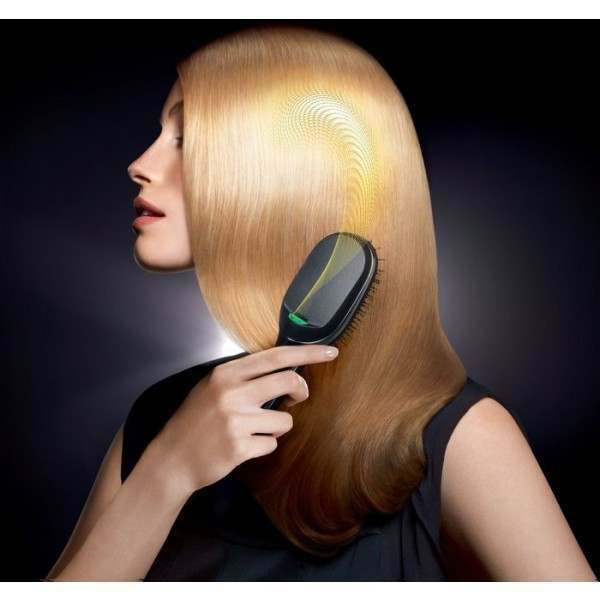 The Ion Jet releases millions of ions to smooth your hair, taming frizz and static whilst providing a boost of shine for healthy-looking hair. Battery-operated and travel-friendly. 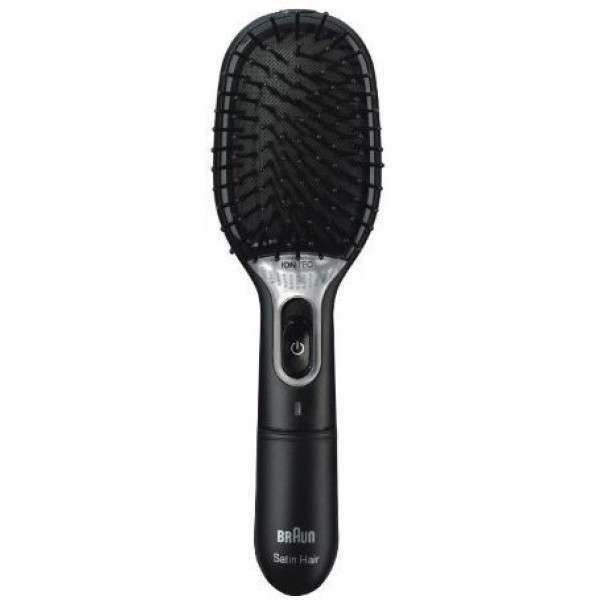 Braun Satin-Hair 7 Brush with IONTEC is a revolutionary innovation for hair care. From the first brush stroke, hair is given instant shine and smoothness anytime and anywhere, just at the push of a button. 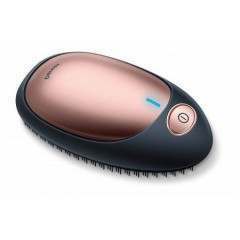 It fights frizz and removes static, 100% portable and easy to use. 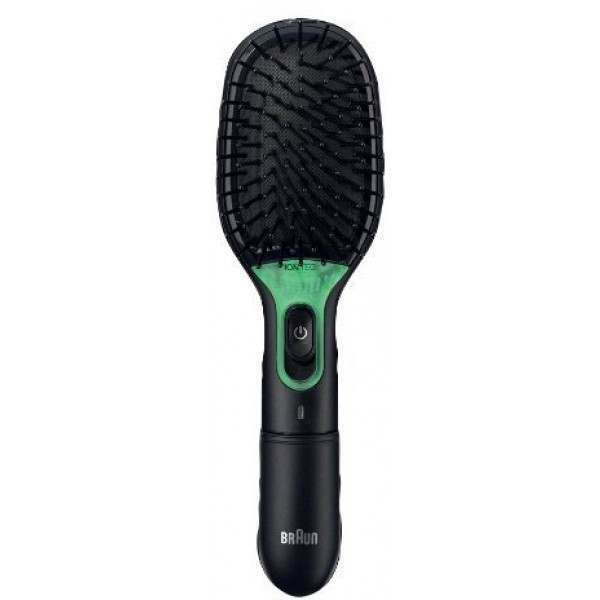 Braun Satin-Hair 7 Brush with IONTEC makes your hair incredibly shiny. 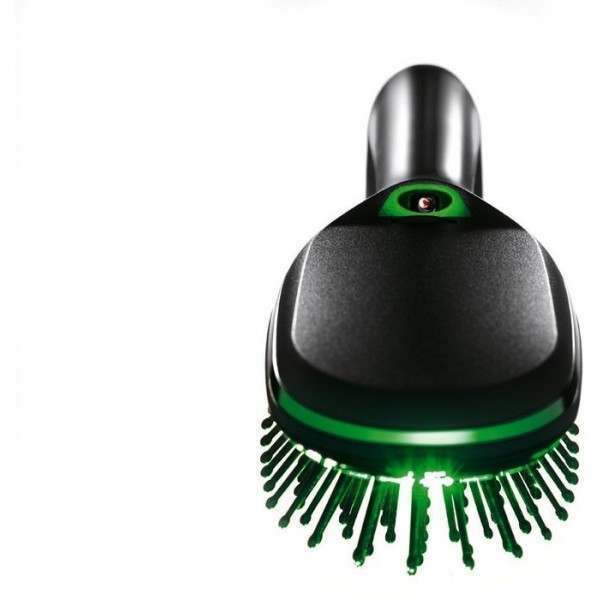 The active ion jet releases million son active ions as you brush, working very much like a conditioner for your hair. 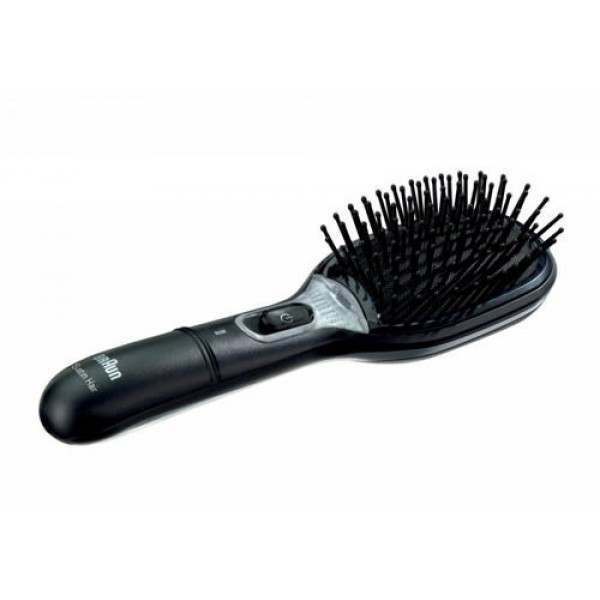 They instantly tame frizz and flying hair (static) for touchable smoothness in comparison to other brushes without the ion jet feature. 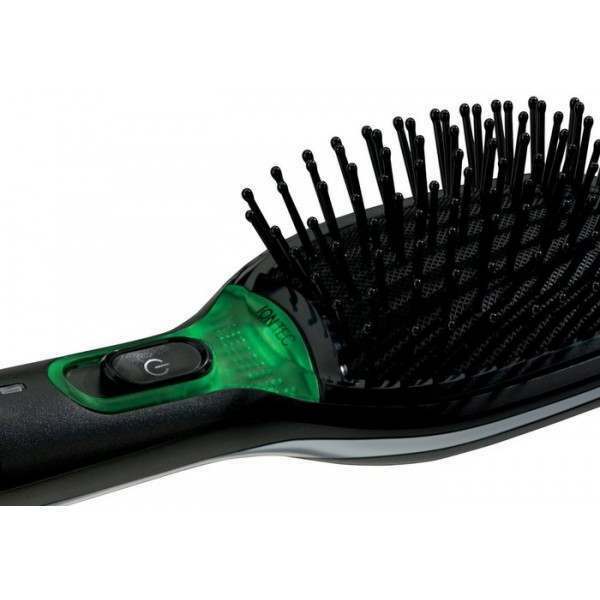 The removable cushion pad boasts seamless bristle technology with no burns or sharp edges for a gentle brushing experience, letting them glide through your hair without causing any damage. The cushion bad is easy to remove and can simply be cleaned under running water to keep it in the best condition. Be sure to let it dry thoroughly before placing back onto the brush handle. Travel-friendly, the Satin Hair 7 hair brush is 100% portable as it is battery-operated and a convenient size for popping into your bag. The Travel-Lock function helps to protect the ion output nozzle whilst in your bag, with the automatic travel-lock preventing this from switching on when not in use. Available in white too, the Braun BR750 Satin Hair 7 Iontec hair brush features natural bristles, suitable for fine to medium hair. Was looking for this brush on the internet and although I have never dealt with Beauty Kit before, I thought that I would give them a try as they offered the best price. The product is great for my daughters fly-away hair and the service from Beauty Kit excellent (kept updated with order status via e-mail and very fast delivery). Many thanks.